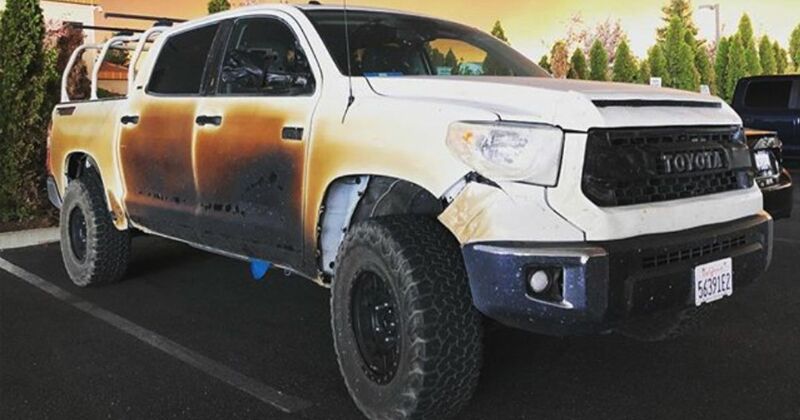 Toyota USA is swimming in good PR today after offering to replace a Tundra pickup that was heavily fire-damaged while helping to evacuate hospital patients from the path of a wildfire. Allyn Pierce used his Tundra to help evacuate patients from Paradise hospital, where he is lead nurse on the intensive care unit. The hospital was surrounded by deadly wildfire and, as the hospital itself eventually caught fire, evacuation had become the only choice despite emergency staff having already relocated to the building’s helipad. 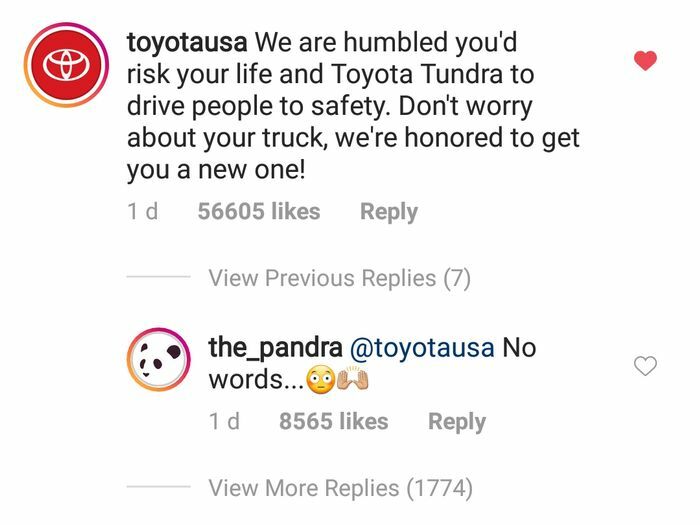 The Tundra made two trips along roads that had become terrifying corridors of flame, picking up significant bodywork burns and melted headlights, but it kept running and helped save numerous lives. 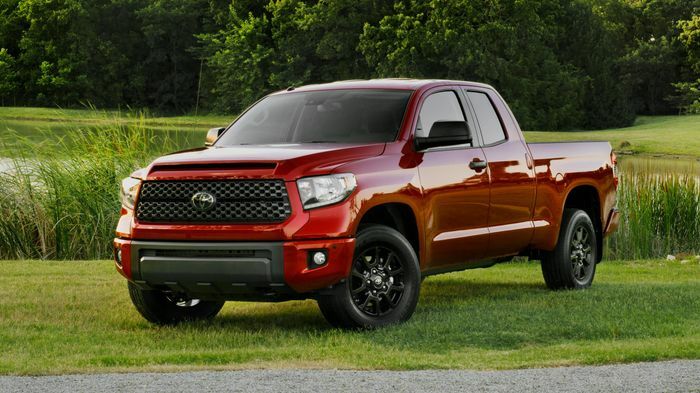 Whether you’re a GM guy, a Ford nut or even just don’t really like Toyota for whatever reason, you’ve got to take your hat off. What a classy gesture. At the time of writing the original post has nearly 70,000 likes and over 6200 comments.